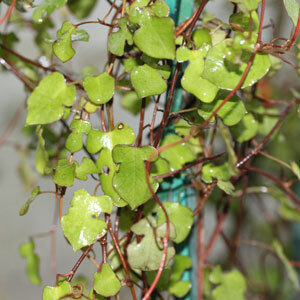 A creeping shrub or twining climber with attractive dark green leaves.shaped like girls dress with puffed sleeves. insignificant flowers. Evergreen. Full sun/partial shade. Frost hardy.